In yesterday’s blog, I discussed Breaking the Fourth Wall. 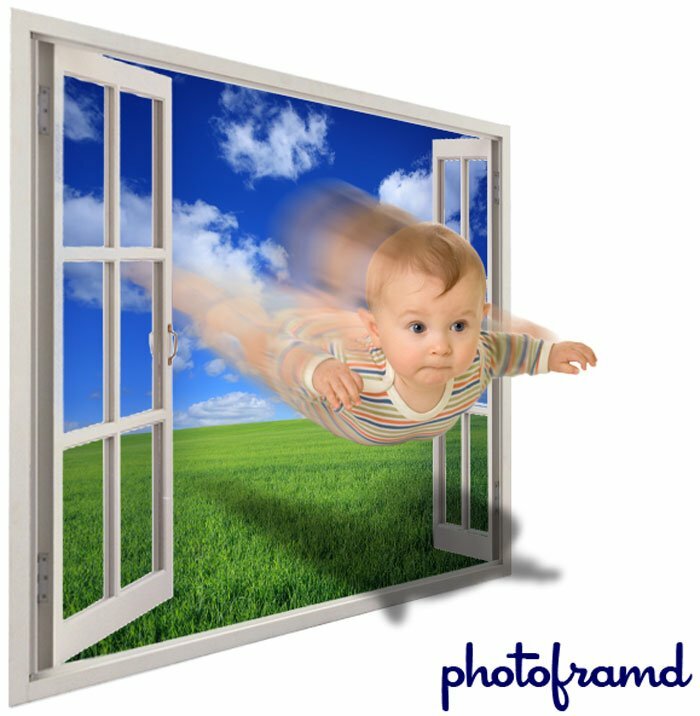 Today, I am going to use a few stock images from istockphoto.com to create a more dynamic variation … a flying baby! 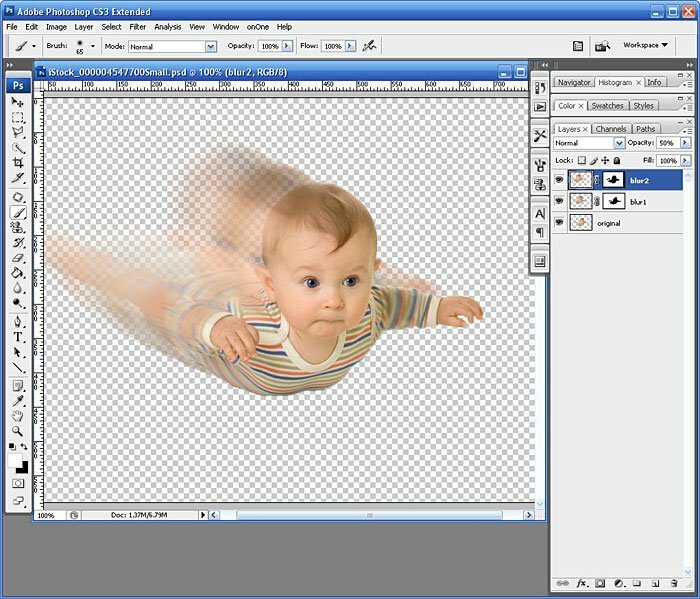 Using Mask Pro to cleanly knocked out the white background from the baby image. To give the illusion of flight, I duplicated the layer and applied a motion blur to the dupe and set the Layer Opacity to 80%. To extend the blur, I duplicated the blurred layer and set that layer’s Opacity to 50%. The original baby layer and the blurred layers are then lined up to trail off behind him. Drag all of the layers into the same Photoshop file. 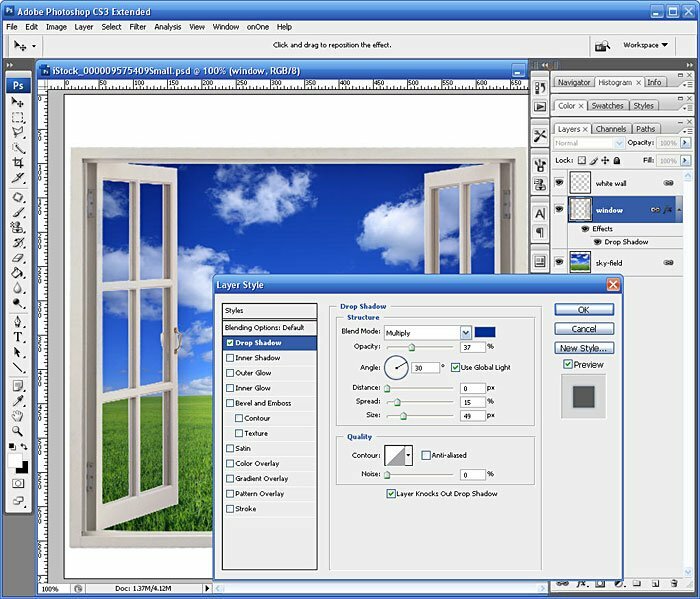 Starting with the window and sky background, I applied a Free Transform using Perspective and transformed one side to angle towards the distance. I then resized the window/sky to give some plenty of white space. 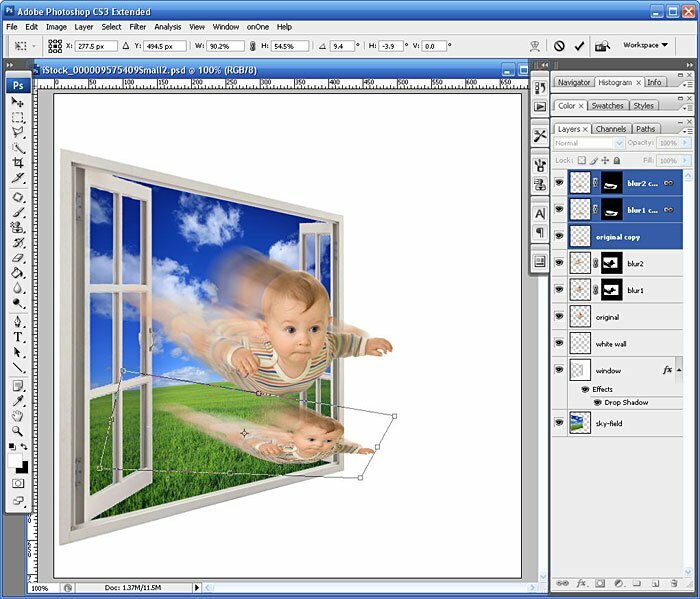 The baby images are resized to fit the window and whitespace. To add a sense of realism, I duplicated the baby images and flattened them to form the shape of a complex shadow. I then filled the shadow with black and lighten the Layer Opacity to 50%. Next → Next post: Review: Topaz Labs Denoise 3 – Wow!!! This is absolutely great tutorial. Thanks for sharing.